Aquaman #31 variant cover. Art by Mike Allred. We’ve traveled far, this last week. From gentle basking sharks gliding across the surface of the North Sea to titanically tiny worms dwelling in the deep. 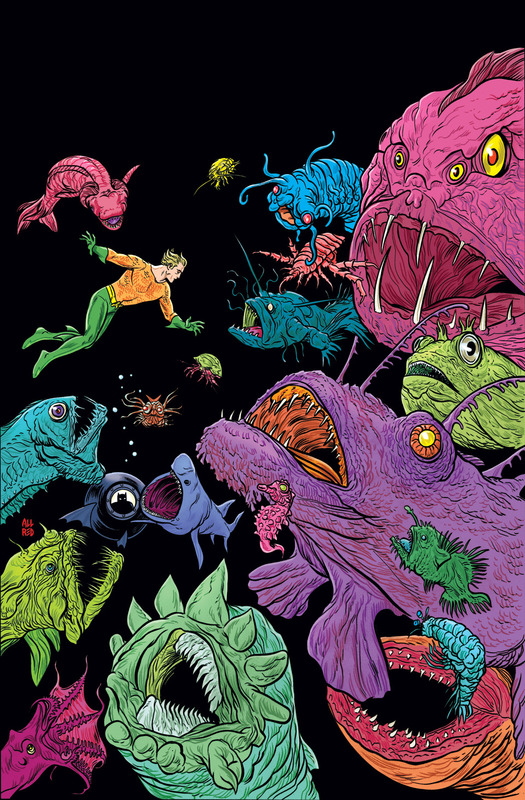 The variant cover for Aquaman #31 is a fantastically diverse sampling of real ocean organisms, many of them not only profoundly weird but also almost entirely unstudied. Mike Allred’s is a small taste of the unknown still waiting to be explored. I saved the best for last, including my favorite squid and scale worm. Before we dive into these final identifications, let’s take a moment to review.